Every child knows Singapore is multinational and multicultural city. While many religions inhabit this community, there is only one, true religion in Singapore, and we will tell you why. Singapore successfully manages to attract international entrepreneurs in the last two decades as an ideal place to live, work and do business in Asia. And the reason is simple. Competitiveness. Yes, competitiveness is the only true religion that drives Singapore and its people forward. The competitive mindset is built into the character of the growing population, as they cannot rely on anything other than the human capital. This state thrives for perfection on all levels of education and business, consequently drawing in quality international companies and projects. 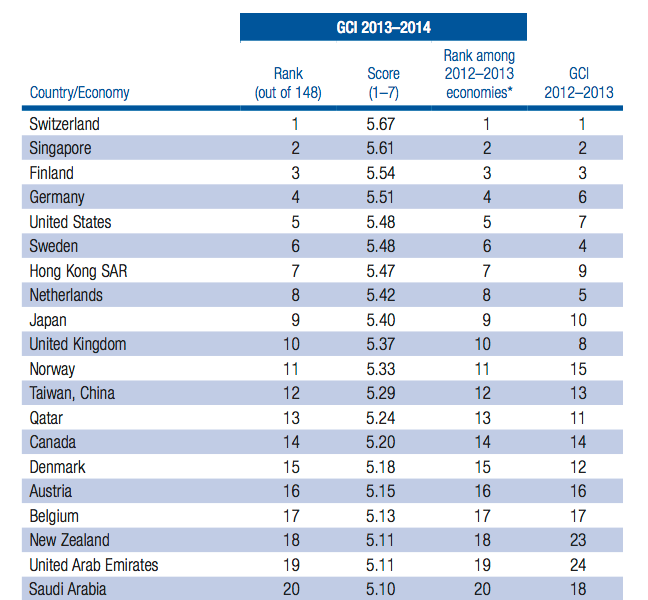 Singapore is positively ranked second in the WEF’s Global Competitiveness Report for 2013-2014. There is no other country in this extensive report to be featured in the top 3 ranks of 7 out of 12 pillars of the GCI. Another competitiveness report, compiled by The Economist Intelligence Unit in 2013, compares the competitiveness of the cities around the world. This research and analyst division favorably ranks Singapore as the 1st most competitive city in Asia and overall 3rd in the World, closely following New York and London. Incubator Development Program (IDP) granting up to 70% grant support for incubators and venture accelerators. The opportunities stated above are just a fraction of over 50 different incentive, grant and tax-exemption schemes available to both resident and non-resident individual. For more information on Singapore funding, click here. For more information on Singapore’s competitive advantages, click here. For more information how Healy Consultants Group PLC can help your business expand in Singapore, click here.